A Life Unfolding: First pedi! 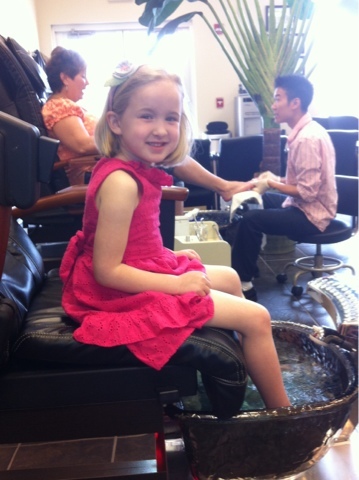 H has been asking to go for a pedi for a long time. Mostly because it's something mom does and she wants to do it too! So, for her star of the week at school I decided to take her. She LOVED it! She thought it was so cool that her feet got their very own bath!